This came during the meeting held at the Secretariat in the presence of representatives of the economic section of the US Embassy, ​​the International Trade Organization, the registration of companies in the Iraqi Ministry of Commerce, the Baghdad Chamber of Commerce and the Federation of Chambers of Commerce, in addition to representatives of information technology of various ministries and the Secretariat. 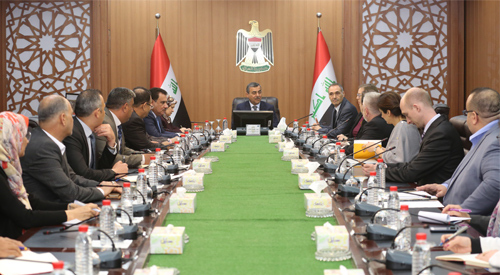 The Iraqi side praised the experience, adding that the one-window program is an important indicator in the process of upgrading the performance of the relevant Iraqi institutions active in investing and moving the private sector in Iraq, and raised some observations on the verification of the documents submitted and the determinants of the choice of the name of the company and Iraqi laws associated with it. The US side stressed the importance of focusing on the project's axes. It is a three-window cluster that deals directly with the citizen and builds the efficiency of the system concerned and the skill of its users.